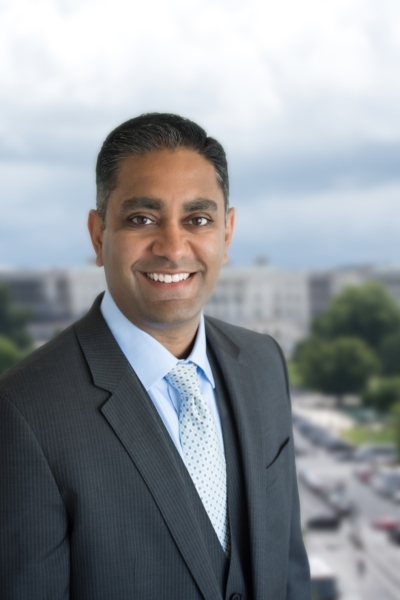 Next in the series is a conversation with Savan Group President and CEO Veeral Majmudar on IT modernization and government investment in cutting-edge technology. Going into 2019, I believe agencies will continue to focus on IT modernization efforts, information and data management, blockchain, digital solutions and shared services. Several agencies have already publicly committed to these investments through their budgets and public statements. Although some of these investments — like IT modernization and shared services — will be a continuation of ongoing efforts, I believe increased attention will be placed on information and data management. Government agencies are experiencing rapid change as many transition to as-a-service models. As a result, many are challenged with data proliferation and faced with the need to develop and implement more vigorous data management and analytics capabilities to better understand where their data is, how it secure it is, how it is being leveraged and who has access to it. Putting in place the types of tools, processes and systems that can effectively meet these challenges proves challenging for many agencies as they must also deal with structural hurdles like variable IT systems, security concerns and budgets constraints. What will 2019 hold for government contracting? How’s today’s market affecting how you develop and retain talent? In 2019, I think we’ll continue to see increased movement with respect to M&A activity, a trend that actually started in late 2017. There are a lot of mid-tier firms who have established themselves as market leaders in their particular focus areas and large firms are continually seeking an edge either in terms of agency penetration or thought leadership around a specific functional area (e.g., cybersecurity). Consequently, these smaller firms who have established themselves in such a manner are being aggressively pursued. At Savan Group, we are constantly reviewing and evaluating our approaches to training and retention. This is an extremely tight job market and for us to be successful, we must find ways to not only attract talent but to keep it. Our leadership team has been highly engaged and assertive about implementing innovative methods to ensure our employees are happy and know they have a place to grow and lead at Savan Group. What’s been your business strategy across multiple presidential administrations and what’s your organization’s plan for growth in 2019 and beyond? How has your company best overcome legacy infrastructure? Honestly, one of my main responsibilities is to keep track of and understand the various directives and policies coming from this administration and Capitol Hill to ensure we are positioned to help our clients respond to those mandates. For example, the IT Modernization Act of 2017 was an extremely impactful policy event that required many firms (like ours) to think about how we can specifically help our clients craft strategies to address the objectives laid out in the act. In terms of growth, part of our plan in 2019 is to forward-integrate some of our existing core competencies with opportunistic areas that align with those capabilities. As an example, we believe we are well-positioned to help agencies with information and data management challenges based on our track record and ongoing agency support in this area. This includes everything from basic information management services to things like digital solutions, data analytics, or controlled unclassified information. This also means we’re going to continue evolving our service offerings to align with the most recent mandates and risks identified by agencies and the administration. Truthfully, most concerning is budget uncertainty. Not having an approved budget makes it very difficult for our clients to commit to much-needed, long-term investments. Just as importantly, budget uncertainty makes it challenging for procurement officials to fund much-needed, long-term investments when you are having to fund them on an incremental-funding type of situation. Having said that, I’m truly excited about government investing in innovative and cutting-edge technologies and solutions, particularly as they pertain to data management and digital solutions to help improve access to information. These are certainly areas that Savan Group has committed to through investments in recruitment and the development of talent, leadership, new tools and partnerships. I think information security and blockchain are two topics and projects for collaboration between public, private and academic sectors. We’ve seen some areas where these various sectors have collaborated on these issues, but there is certainly more opportunity to do so. What do you see as the next big reform in acquisition policy? How do you predict the federal government will prepare for the 21st-century workforce? I think there is a real possibility you will see structural overhauls in how government purchasing takes place. Already, there are rumors swirling about Amazon’s desire to build a solution that streamlines the government-purchasing process. If companies like Amazon can leverage their commercial technologies and best practices and successfully innovate in the purchasing space — that could be a game changer. Our team also believes we have yet to see the full impact of governmentwide category management, an area in which the General Services Administration has made significant investments in recent years. Many of those initiatives are still being implemented. With respect to your second question — in order for government to prepare itself for the 21st-century workforce, it will need a shift in mindset. For example, it needs to consider how to improve the benefits and perks it currently offers its employees, perhaps adopting the same types of work benefits and perks that private companies or the commercial sector offer. For example, employees want the ability to work from almost anywhere, which requires the government to rethink how employees can access information remotely. I also believe employees are beginning to want more alignment with a mission. It’s important for agencies to be able to explicitly demonstrate how each worker is contributing to the mission of the agency. Lastly, I think there is opportunity for federal agencies to better leverage social media to recruit, retain, and excite the employees. What’s most important tool or piece of advice to educating the next generation of defense/IC/IT/health care leaders? Be really good at connecting the dots. This requires a laser-like focus on understanding an organization’s strategic goals/objectives while also being able to link policy decisions to operational impact at a very tactical level. Next Article Top 25 Execs to Watch in 2019: Dennis Kelly, Buchanan & Edwards, Inc.